We believe that the teenage years matter - a lot! What if we could engage these years with a foundation that can fuel the adventure, with a vision for life that can guide the exploration, and with a divine grace that can catch you in failure and equip you through struggle? 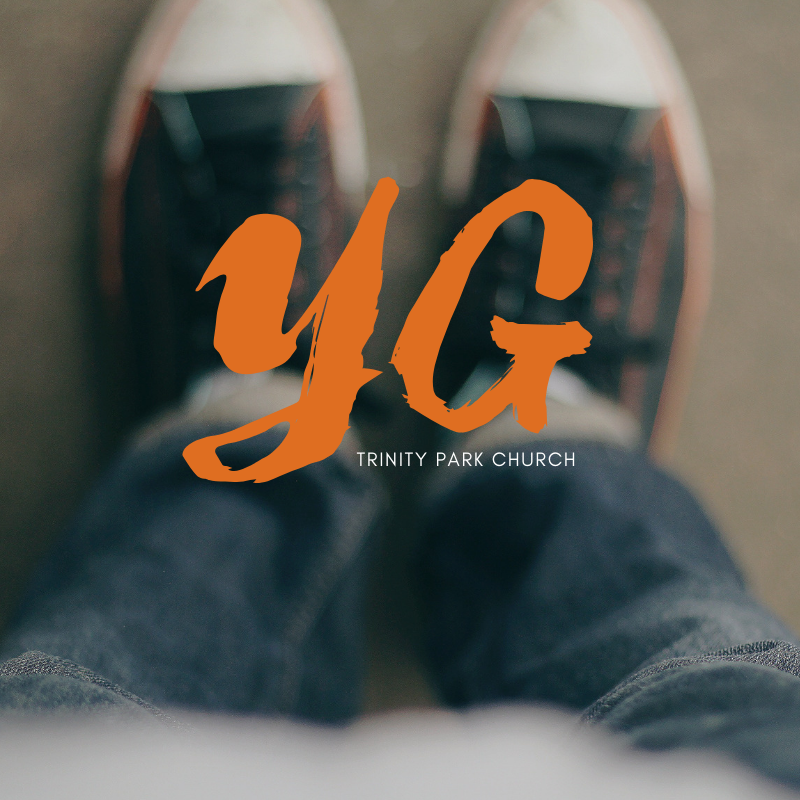 At Trinity Park, our Youth Group is designed to create space where students can be met with the good news of Jesus’ life, death, and everlasting life exactly where they are and for exactly who they are. We have a culturally diverse group of students drawing from all over the Morrisville/Cary area, and our goal is to walk alongside them and their families as they figure out their faith, become equipped in the gospel, and prepare to serve Jesus in his world. Toward this end, we meet weekly to study and discuss God’s Word, offer a before-school Bible Study to stay connected during the week, create fun (and usually ridiculous) events to build relationships and invite others in, and even plot out a couple retreats/camps throughout the year to get away from it all and re-explore what it means to respond to God with our whole lives. This season in Youth Group we’re working through Paul’s letter to the Ephesians, considering the character of God’s love, and why it really is the foundation we all need to live boldly and wholeheartedly, holding us through trials and fueling us in opportunities. By seeing what he has done for us in Jesus, and especially the affection that motivates it, we are equipped to live ROOTED in his love. …that you, being rooted and grounded in love, may have strength to comprehend with all the saints what is the breadth and length and height and depth, and to know the love of Christ that surpasses knowledge, that you may be filled with all the fullness of God. — Eph. 3:17-19. Breakfast & the Word | Tuesdays, 6:10am (yeah, it’s early). Want to stay grounded beyond Sundays? Every Tuesday morning at 6:10am through May 21st we’ll be meeting up at Dunkin’ Donuts (10030 Green Level Church Rd.) to combine equal parts sugar, caffeine, prayer, and the Word of God to fuel your day! Open to both MS & HS students, with no prep. necessary. Weekly Meetings | Sundays, 6-8pm. We meet each Sunday through May 26th from 6-8pm at the TPC Offices (14001 Weston Parkway, Suite #112) for games, snacks, some time in the Word, discussion groups, and whatever else might come up! We dive back in again with food, games, prizes, & time reflecting on Scripture together. 2.3 | SUPER BOWL PARTY! 6:30pm-End of Game, @ Maddie Weyand’s home (408 Holsten Bank Wy.)! Whether you care more about the teams or just the weird ads, we’ll have the game itself, commercial bingo, board games, and plenty going on to fill the time and fill your belly. And also, the First Annual Queso Cook-Off Competition! 2.15-17 | The Winter Retreat! Friday night to Sunday afternoon, @ Mount Shepherd Retreat Center, $100. A road-trip, worship, study, late night in-the-dark games, amazing food, snowball fights (maybe? ), bonfires, board games, and all the ridiculous things that happen on retreats! Take this opportunity to step into the beauty of God’s creation, dig deeply into the gospel, have an awesome time with friends, and generally refresh your soul. CLICK HERE TO REGISTER! 2.24 | Solomon’s Porch! AND FREE PIZZA! An anonymous Q&A night where students can write down any and all questions about life the universe and everything (including the questions you might never ask face-to-face), and I’ll randomly work through them, doing my best to root each response in Scripture. And also, free pizza! 3.2 | Dorcas Ministries Service Project! 1-4pm, @ 187 High House Rd. Peter B. is collecting volunteers for a group shift at Dorcas Ministries Thrift Shop (187 High House Road, Cary, NC 27511), a Christ based charity that helps the poor in our community. CLICK HERE TO SIGN UP! 3.17 | The Ridiculously Competitive Putt-Putt Memorial Championship Tournament! Put together your team and show up to complete in the most anticipated athletic event in history! Play for glory, play for honor, play for your names to be eternally emblazoned upon the TRCPPMCT Trophy for all time. Drop-off & pick-up will be at a local Putt-Putt location (TBD), $5 per person. 4.14 | Something Cool - We’ll Figure It Out! Spring break begins, and for those of us still around, we’ll have something fun to make all those traveling out of town want to come back and join us! 4.21 | EASTER! No Youth Group. 5.26 | End Of Year Bonfire! 6-8pm, Drew’s House. We made it through the end of the term! Come hang out to burn stuff, roast marshmallows, and talk through how we’ve seen God moving and growing us over the past year. For more information on our high school or middle school youth programs, contact Pastor of Youth & Children Drew Wilkins at drew@trinityparkchurch.org.